The cost of picking, inventory management, and shipping errors is higher than you think. Here’s why. While many midsize logistics and warehousing operations have made strides in automating some business processes associated with picking, inventory management, and shipping tasks many of these companies still have much room for improvement. According to a 2015 manufacturing report by accounting firm Sikich LLP, 53% of those polled are still using manual methods to measure key performance indicators (KPIs), and only 26% were using an ERP solution. Although your company’s among the 26% that are using ERP instead of spreadsheets and custom-built apps, if you’re still tenaciously holding onto inefficient, paper-based workflows you’re likely making costly errors. Many smaller organizations think their small logistics or warehousing operation is better off keeping things simple, but paperwork has the opposite effect: bogging down your processes and leaving you liable to delays resulting from lost or misplaced documents. 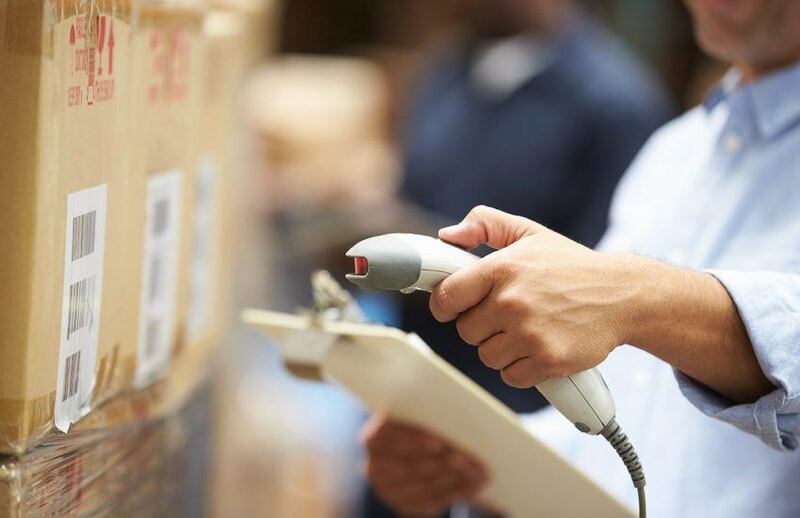 Whether for receiving, put-away, picking or packing, mobile barcode scanning is a proven way to improve accuracy and automate the process of managing inventory. For wholesale and distribution businesses, efficient inventory management can be the difference between success and failure. As warehouses strive to work smarter for their customers while increasing their velocity, the cost of an error is on the rise. 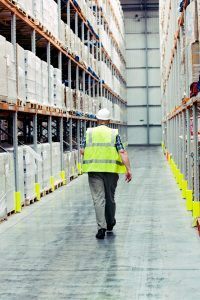 A worst-case scenario for a distribution center is for a mispick to occur and make its way through the delivery process. Mispicks and other inaccuracies don’t just disappoint customers and lead to costly return processes; they produce a ripple effect that generates additional costs and erodes customer loyalty. Mispicks occur when employees pick the wrong item, neglect to select an item, pick the wrong quantity, or pick a damaged or mislabeled item for an order. According to a study by Vanson Bourne, human error is most often the culprit, but labeling errors introduced by the supplier or at receipt can also lead to mispicks and other inventory management debacles. Inventory management errors waste time and labor; plus, they can lead to expensive chargebacks, and damage customer relationships. For instance, receiving the wrong item can lead to missed deadlines or production issues in addition to forcing customers to deal with a return. On the consumer side, picking/shipping errors can tarnish a company’s reputation with other prospective customers. Mispicks are an expensive problem. Research from Vanson Bourne found that mispicks cost warehouses nearly $400,000 annually, while other studies have placed that average error cost as high as $22 per error, and in some industries the price can be double or quadruple even that, depending on the type of goods involved. Wasted Labor. Inventory management errors lead to wasted staff-hours and wasted effort in re-picking and correcting the order. If it’s a chronic problem, the company may also have invested in additional staff to help manage customer complaints and handle returns issues. All of this extra work and over-staffing drive up inventory management costs. Expensive Reverse Logistics. Returns processing is a disorganized, multi-step quagmire at most facilities. Returned goods have to be inspected and a determination made if they should be put back into stock, returned to the suppliers or destroyed. Returns make inventory management even more difficult and require complex accounting procedures. Loss of Customer Confidence. Customers don’t have much patience for inventory management errors. Returns are aggravating. In addition to whatever problems a mispick may have caused for the customer — anything from a missed deadline for a business customer to a missing Christmas gift for a consumer — they now have to package and return an item. That usually involves going to the post office or UPS/FedEx location or arranging for a courier. That level of aggravation sometimes has an immediate cost, too — if there’s a service level agreement in place — in the form of a fine or chargeback. Customers also lose faith in your ability to deliver what they need and are much less likely to do business with you in the future. Reducing mispicks and other errors require a three-pronged approach that involves technology, process optimization, and employee training. Even if your shipping accuracy is relatively high, taking these steps to eliminate a small percentage of mistakes is still worth the effort in customer goodwill. Invest in barcode scanning technology. This shouldn’t be surprising to anyone, but barcode scanning, mobile computing, and other automation solutions can eliminate most human error from the picking process. Even the most high-attention-to-detail employees can’t enter data into your inventory management or ERP system 100% of the time. Studies show manual data entry error rates can be as high as 3% for some companies and those with lower rates typically have to build in additional manual processes such as double entry, which further slows down productivity. Wireless barcode scanners help small businesses achieve a paperless warehouse. Instead of warehouse staff printing pick tickets, sales orders are opened on mobile scanning devices, allowing pickers to scan and pick items at the same time while walking the warehouse floor. Users can also scan product as it’s received into the warehouse to update the ERP system in real time. This eliminates traditional methods of gathering inventory information such as printing lengthy reports, handwriting notes, and then manually recording information back into your system. Document and review your work processes. Whatever business you’re in, workflows are your business — they serve as representations of your whole operation. Documenting your work processes and making them easily accessible to your warehouse staff offers many benefits. First, it gives you an opportunity to consider the most efficient way common tasks should be performed (with the help of Lean process improvement tools) and contrast that with how your workers are actually performing the tasks.Not only does this documentation serve as a valuable reminder for existing employees, it’s a great tool to help get new employees up to speed more quickly, and it’s vital for establishing key performance indicators (KPIs) which are useful for employee performance reviews and bonus incentives to reward top performers. Review your picking, packing and other business processes regularly to identify error trends, and redesign those portions of the process where the most errors are occurring. It can be as simple as improving the way you alert staff when a mispick or other inventory management mistake is made — even with barcode scanning they will need visual and audible alerts so they can fix the problem right away. Provide ongoing employee training and coaching. to set goals for each employee and to keep in mind that not everyone performs the same tasks and not everyone works in the same area or deals with the same challenges.Make sure your employees understand the cost of mispicks and train them so that they can use the new technology and picking processes to help reduce errors. They also need to know which procedures to follow when an error has occurred in each phase of the fulfillment process. Workplace goals are the expectations for employees to work toward. Without them, there can be no basis for measuring improvement. Goals should be specific, measurable, attainable and convey exactly what is expected. Your training program should also incorporate coaching and motivation on an ongoing basis to ensure that insufficient behaviors are actually corrected. Some companies offer incentives such as bonus pay, gift cards or added vacation time to help motivate staff. Coaching is an excellent way for a supervisor to stay involved on the floor and help enact process improvements, rather than remain behind a desk, out of sight. Plus, regular access to supervisors helps make feedback feel more attainable. As leaders in the workplace, warehouse managers need to motivate employees to help them succeed. Effective supervisors use technology, data and other information to coach. A daily pre-shift meeting can act as a pep talk, encouraging employees to achieve specific goals for the day. Employing the above steps as part of your overall business process improvement strategy will not only help reduce errors, but it can also create substantial productivity improvements across your warehouse. And when that happens your customers win, your employees win and so do you. To find out how much money your warehouse could be saving with automation, contact an EMS Barcode inventory specialist today.